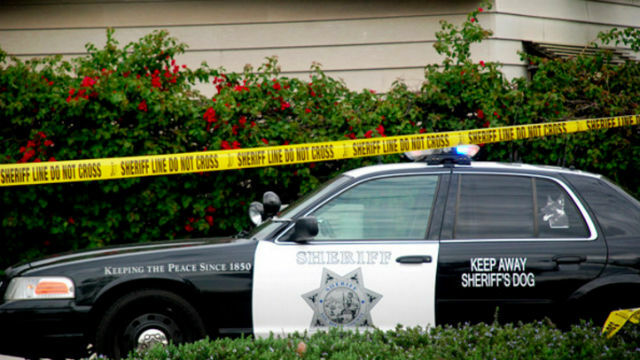 A 44-year-old driver and two children were recovering Thursday from minor injuries sustained in a collision with a sheriff’s patrol car responding to an emergency call in Vista, authorities said. The collision happened at 11:04 p.m. Wednesday at the intersection of North Santa Fe Avenue and Vista Village Drive near the Vista Village shopping center, San Diego County sheriff’s Deputy Jason Malson said. The 2000 Toyota Rav4 was eastbound on Vista Village when it struck the side of the patrol car, which was traveling south through the intersection with its siren and emergency lights on, Malson said. The deputy was uninjured. The SUV’s driver and two child passengers, ages 8 and 11, were treated at the scene by paramedics and did not require transport to a hospital, Malson said. Their names were not released. The Vista sheriff’s traffic division was investigating the crash.